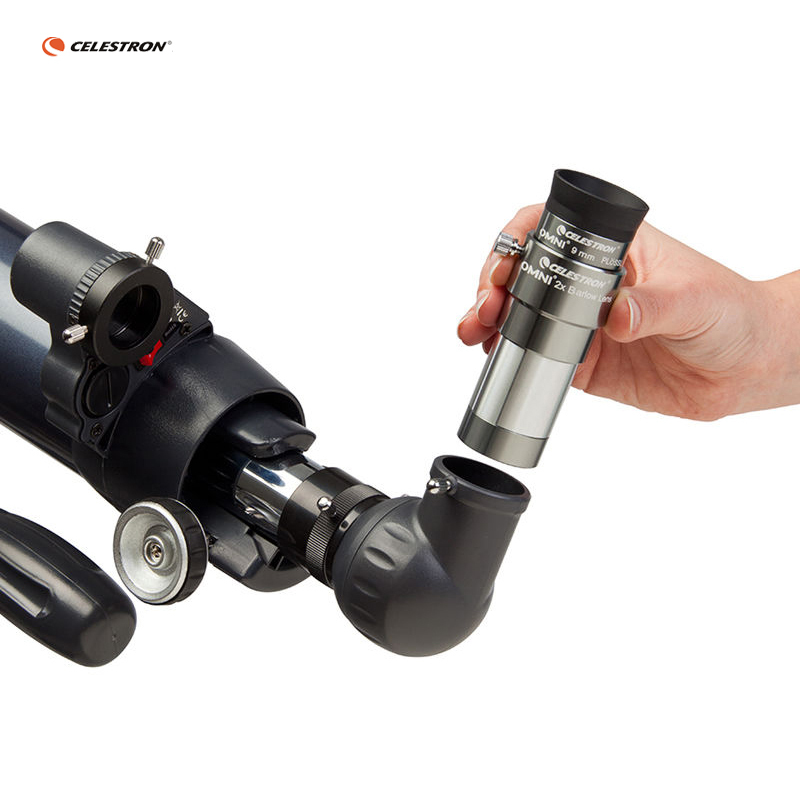 Double the magnification of each eyepiece you own with the Omni 2X Barlow Lens. Keep the eye relief of your eyepieces while getting 2X the power. 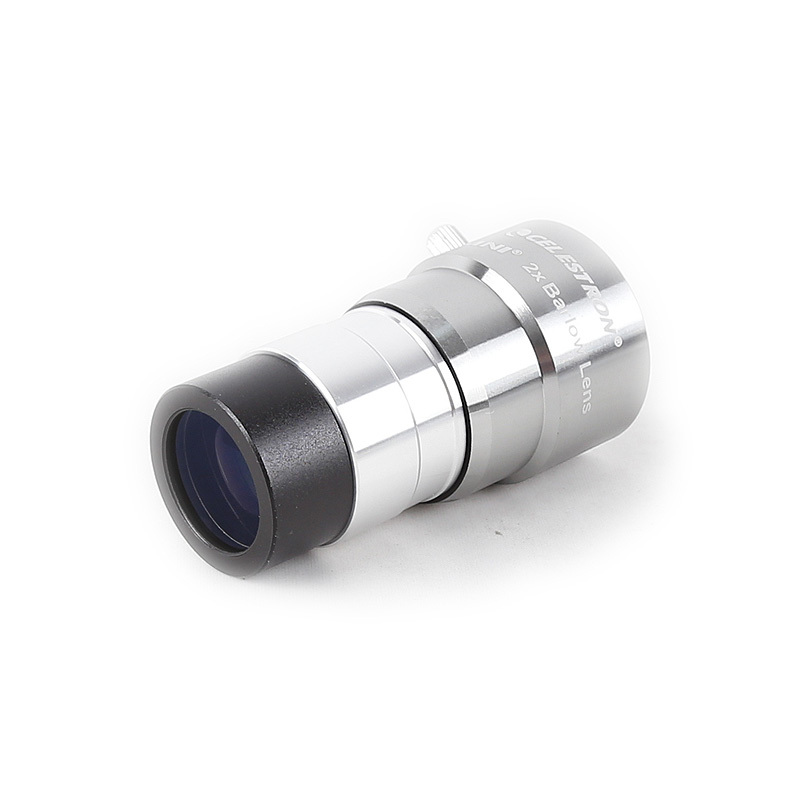 Slides into 1.25 inch focusers and diagonals and accepts 1.25 inch eyepieces. Fully multi-coated optics with blackened edges for good light transmission and minimal reflections. A Barlow lens is the astronomy accessory that keeps on giving! 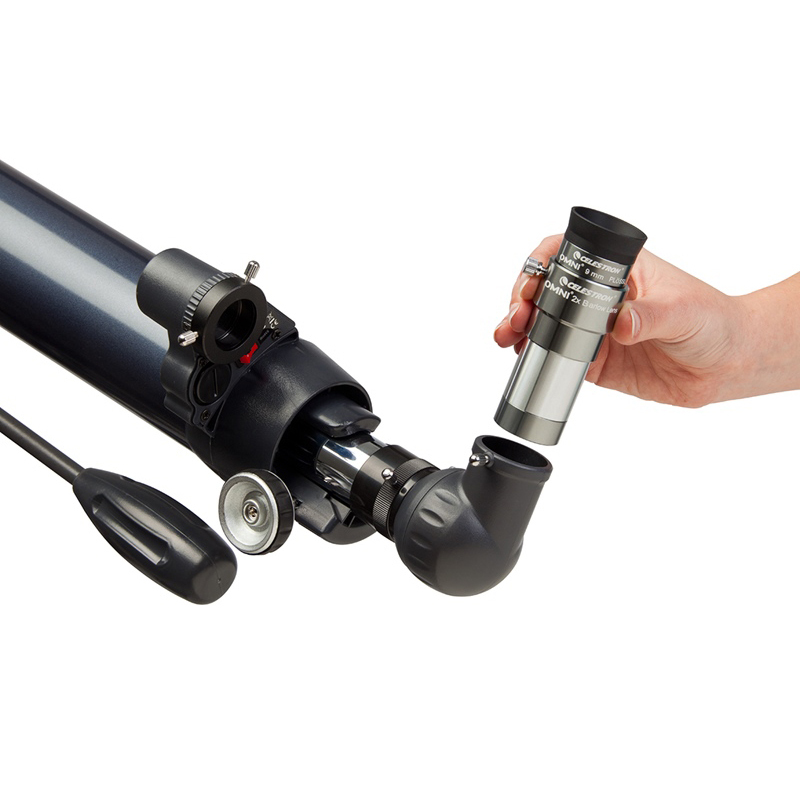 Insert it between your eyepiece and your telescope to get double the magnification instantly. 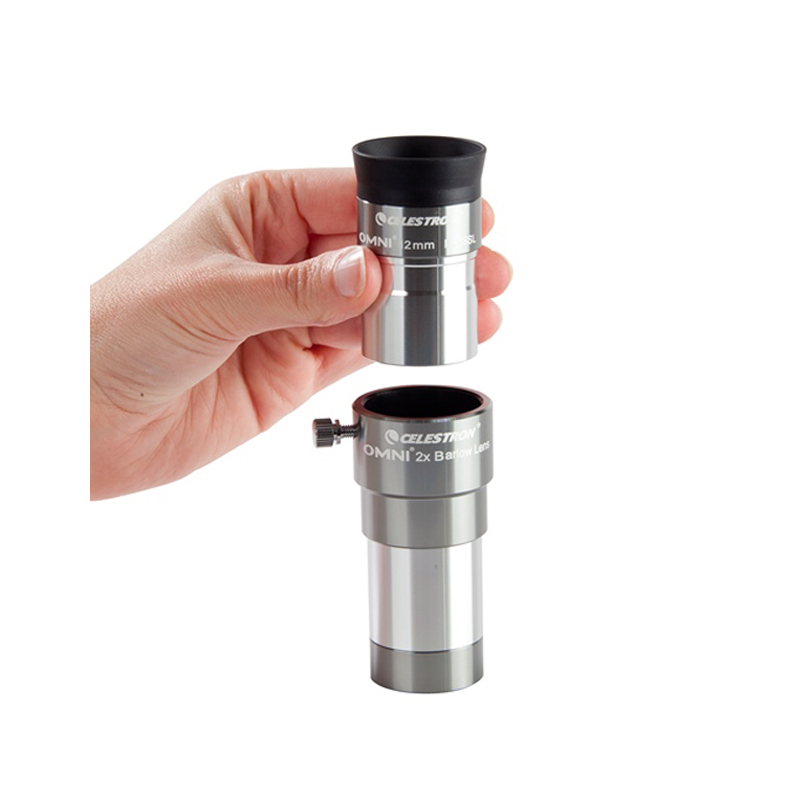 Let is say you have two eyepieces in your accessory case, a 10 mm and a 25 mm. 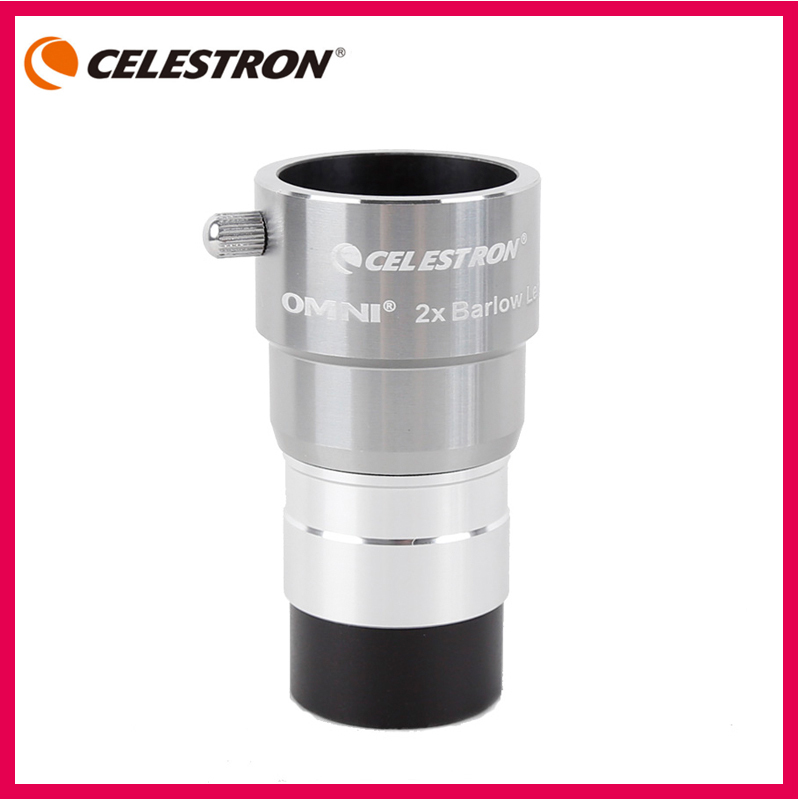 Add a Celestron Omni 2X Barlow Lens to the mix, and now you have four magnifications to choose from. Combining this lens with the 25 mm provides double the magnification, or the equivalent of a 12.5 mm eyepiece, while the 10 mm gives you the power of a 5 mm eyepiece. Eye relief is the distance your eye has to be from the first lens in the eyepiece in order to see the full field of view. When you use a Barlow lens with an eyepiece, you get double the magnification, but the eye relief is not affected. This is a good thing, because normally the shorter the focal length of the eyepiece, the less eye relief you have. In other words, a standard 10mm eyepiece, as a general rule, will have better eye relief than a 5mm eyepiece. Bonus! 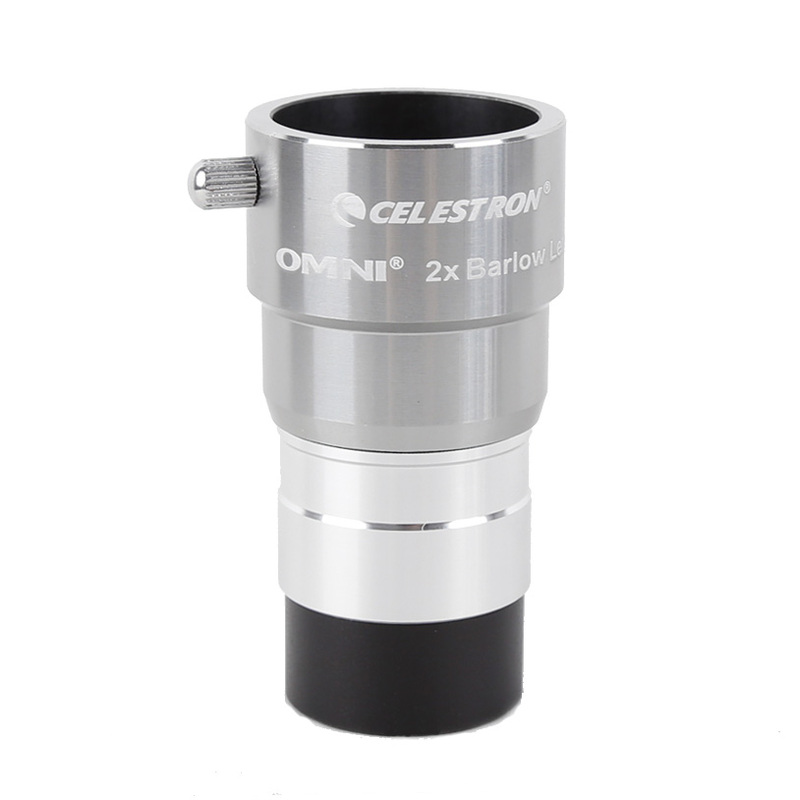 The Celestron Omni 2x Barlow comes in a sleek, silver package. The two-element optics are fully multi-coated, and the edges of the lenses are blackened to cut down on internal reflections. The 1.25” barrel will fit in standard 1.25” focusers and diagonals, and the Barlow will accept 1.25” eyepieces. A metal thumbscrew locks the eyepiece firmly in place. * Please verify your address during checkout. We are not responsible for any wrong or undeliverable addresses. *We will ship all orders within 5 business day of payment(exclude holiday and weekend). *The delivery time for products in the United States between 12-21 business days. *Items are shipped from China using Airmail, reach most of the countries within 10 to 35 business days. 4. We ship to your eBay or Paypal address. Please make sure your eBay and Paypal address is correct before you pay.